I drew this for the Illustration Friday topic, caged. 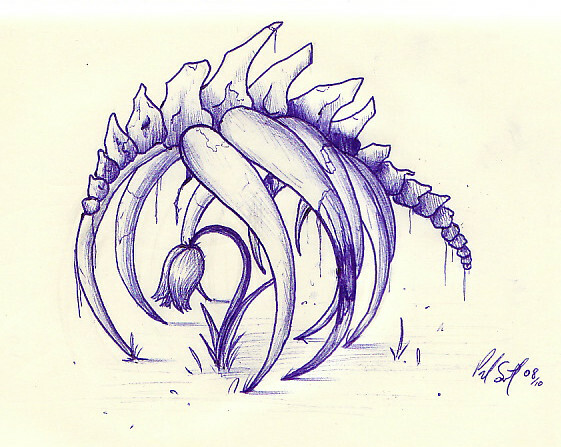 A flower caged by the decaying bones of a beast. Totally dig the linework here, nice! interesting, i like it how it also made the flower die. :'( makes me feel sorry for it.